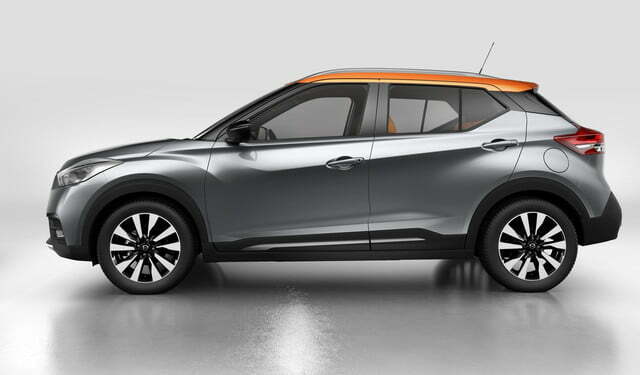 Will Nissan sell its Fiat 500X-fighting crossover in the US? 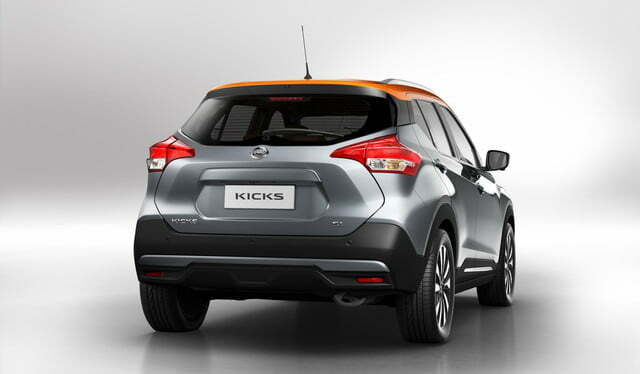 Nissan is capitalizing on the rising popularity of compact crossovers with a brand new model called Kicks. If the name sounds familiar, it’s because the soft-roader is a toned-down version of the sleek-looking Kicks concept that was shown in Brazil nearly two years ago. The Kicks stretches 169 inches long, 69.2 inches wide, and 62.5 inches tall, dimensions that make it roughly the same size as the Fiat 500X, one of its closest rivals, and over half a foot longer than the head-turning Juke. 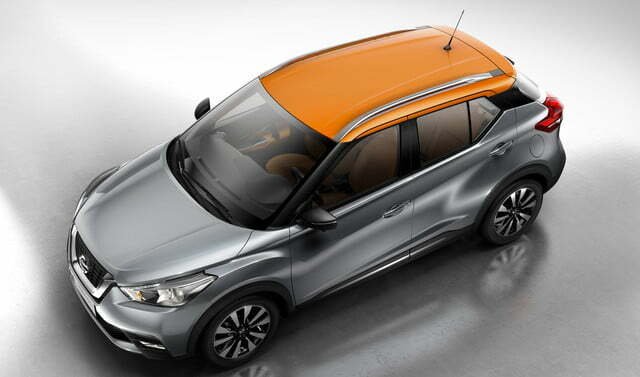 Its design is characterized by an oversized rendition of Nissan’s ubiquitous V-motion grille, a blacked-out C-pillar that creates a floating roof, and a heavily sculpted body — a styling cue that’s called emotional geometry in Nissan lingo. The cabin reflects that the Kicks is unabashedly aimed at a young, style-focused target audience. 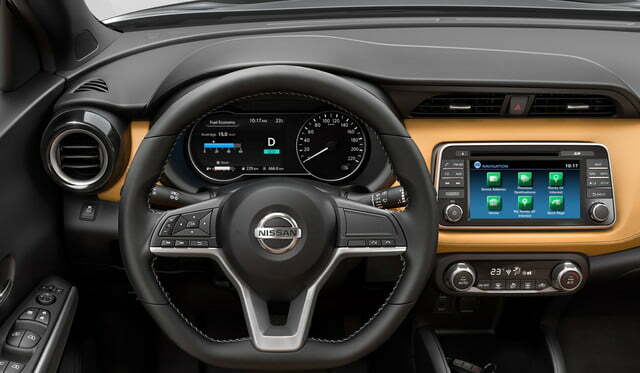 It receives a simple, uncluttered dashboard with a color touchscreen and round air vents accented by chrome bezels, and its instrument cluster incorporates a high-resolution color screen that can be configured by the driver. 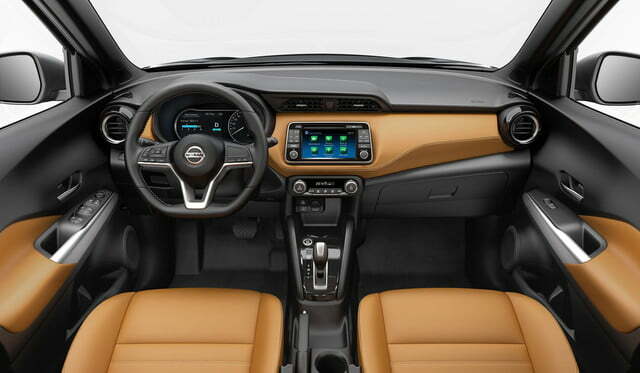 Finally, a flat-bottomed multi-function steering wheel adds a sporty touch to the cabin. Technical details are conspicuously absent from Nissan’s press release. 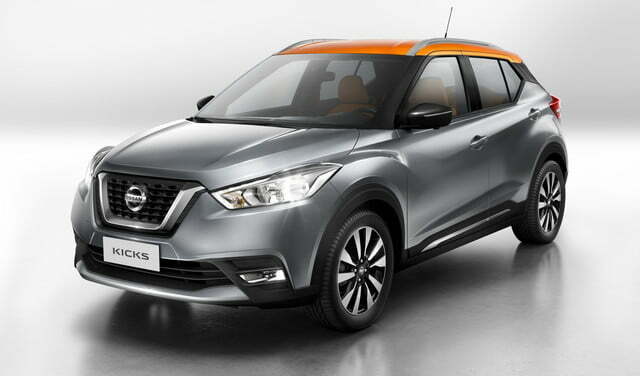 It’s reasonable to assume that the Kicks is built on a car-derived platform, meaning it likely comes standard with front-wheel drive, and it undoubtedly uses a four-cylinder engine because we can’t imagine Nissan would shoehorn a V6 in the engine bay of a small, city-dwelling crossover. Is all-wheel drive available? Your guess is as good as ours. 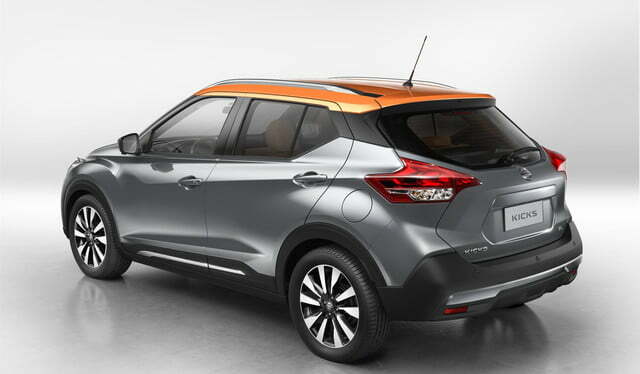 The Nissan Kicks will go on sale in Brazil, where it will be produced, in August, and it will be available in a handful of other countries scattered across Latin America before the year draws to a close. Nissan plans on gradually adding the Kicks to its lineup in no less than 80 nations worldwide, but whether the United States is one of them is up in the air at this point.